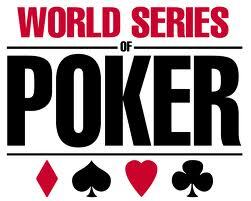 This article is number 8 in a series covering the most important tournaments in the 2011 WSOP. Poker are televised, thus allowing poker enthusiasts from different parts of the globe to know the latest buzz in WSOP tournaments. Besides, poker game has greatly evolved as seen on more than 50 poker variations of which some are played in WSOP; just like the H.O.R.S.E. championship. What is this poker variation all about and what makes it so exciting? H.O.R.S.E is the kind of poker variation in which the game differs with every round as the games indicated by the name; H for Texas Hold’em, O for Omaha, R for Razz, S for 7-card stud high while E for 7-card stud hi-low split-8 or better. Basically a rotation game wherein the game immediately changes after every round. For you to be able to play H.O.R.S.E. Championship in WSOP, you need to have an outstanding grasp of poker in general. Or else, you will not sustain the tournament. Besides, the game requires using different poker strategies for every round. One thing that proves very helpful is being observant. Yes! Observe the way your antagonist plays and find loopholes and take advantage of these loopholes. Now, let us consider the names that standout during the past H.O.R.S.E championship. The 2010 H.O.R.S.E. championship was a remarkable success with 241 participants representing different parts of the world. It was Ian Gordon who grabbed the top prize of $611,666 including the internationally-recognized, specially designed gold bracelet for WSOP. Gordon whitewashed other finalists which include Richard Ashby, Eugene Katchalov, Marco Johnson, Matt Glantz, Carlos Mortensen, Nick Schulman and Marco Traniello. The 42nd Season of WSOP is set to run from May 31 to July 19, 2011 at the prestigious Rio Hotel and Casino in the entertainment capital of the world, Las Vegas, Nevada. The WSOP H.O.R.S.E. championship is scheduled to kick off on Tuesday, June 21st as event 37 at 5:00pm. However, the buy-in for this 3-day poker event remains $10,000 and players will start with the 30,000 tournament chips. This is sure to be another exciting event where different poker skills and talents clash with the goal of getting the irresistible cash prize and gold bracelet as well as to be lined among the best in this poker event. Well then, never miss the action as 2011 WSOP will commence in the gambling capital of the world, Las Vegas.